If January is any indication, this is destined to be a momentous year for wireless power. We are just back from the 2019 Consumer Electronics Show in Las Vegas, and have lots of news to share about our patented wireless power technology, CotaⓇ. First, a quick reminder that the Cota Forever Sleeve was named a CES Innovation Awards Honoree in the Wireless Devices, Accessories, and Services category. This is Ossia’s 4th consecutive CES award; these types of acknowledgments show us that we are on the right track for valuable wireless power innovation. The Forever Sleeve is a demonstration of how CotaⓇ Real Wireless Power™ can be integrated in a smartphone charging case. The Forever Sleeve, along with our latest improvement to Cota technology, Cota® 5.8 GHz, was shown in action to 2019 CES attendees. Cota 5.8 GHz delivers double the power to 2.4GHz, but in half the transmitter size. It also allows for more targeted power over a greater distance, can more easily fit into tiny devices, like batteries and phone sleeves, and has greater spectrum availability. This means more use cases for wireless power in 2019. As part of our joint venture with Motherson, called MothersonOssia, we demonstrated how Cota Real Wireless Power technology works in a vehicle. 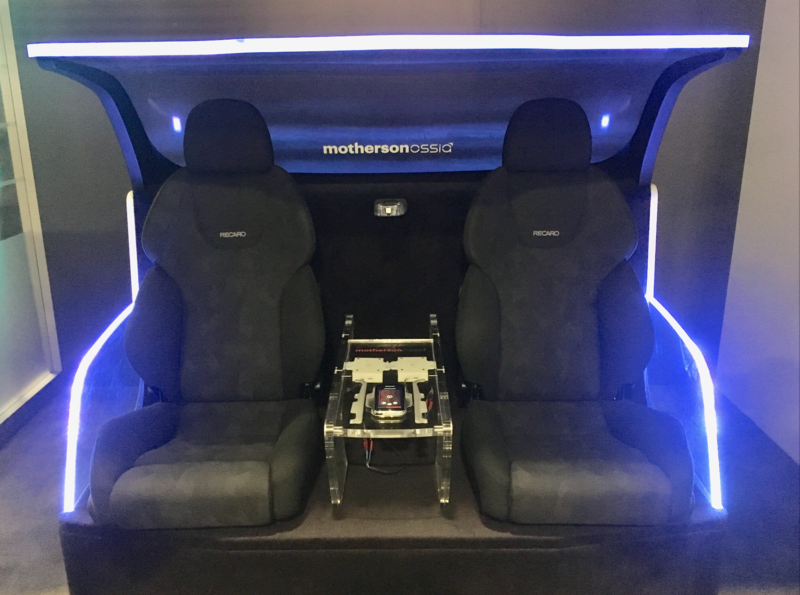 The MothersonOssia demonstration occurred in an actual life-sized facsimile of a vehicle back seat, so that CES attendees could experience Cota first-hand. Cota 5.8 GHz and the Cota Forever Sleeve were both featured in the demonstration. Speaking of smartphone charging sleeves, you may be able to purchase one sooner than you thought. Ossia has partnered with Spigen, a mobile accessories innovator, to bring a Cota-enabled smartphone case to market. A wirelessly powered smartphone sleeve will eliminate the “battery anxiety,” that many people experience when they step away from an outlet or charging pad. A wirelessly powered case will ensure that their phones will always be topped off when they head out the door. In just two days, between January 10 and January 11, the global media wrote about Ossia’s recent accomplishments more than 15 times. You can read about the latest plans to bring wireless power to smart phone cases in Spanish, hear Gizmodo’s view that with Ossia, “we're one step closer to truly wireless power being a reality,” or see how the Wall Street Journal called the Cota-enabled smartphone sleeve one of the “craziest and coolest technologies” presented at CES. Our favorite quotes? “Forget wireless charging pads — [Cota Real Wireless Power] turns your room into a charging zone,” as noted by Android Authority and "Spigen hasn’t revealed a price but has shown a prototype which is a lot more than what Apple gave us" - MSPoweruser. Keep an eye out for more wireless power news in the near future from PCMag, Consumer Reports, and others. This is going to be quite the year!